White willow bark is used throughout the world as an antipyretic (fever reducer) and analegsic (pain killer) supplement. 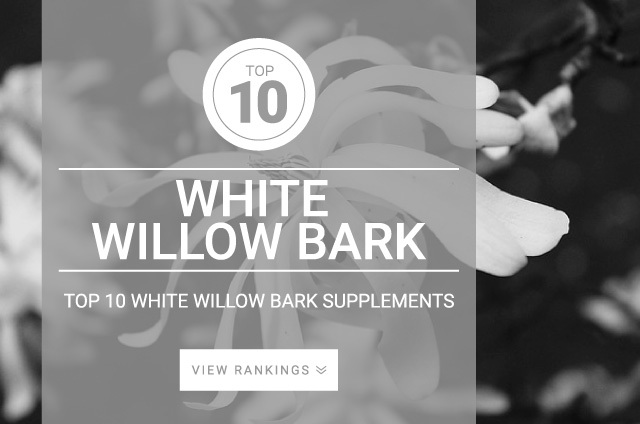 White willow bark contains an active component called salicin, a glucoside of Salicylic acid. When supplemented the salicin releases salicylic acid in the stomach which provides anti-inflammatory and pain-relieving actions. Decrease muscle pain and inflammation. Chinese physicians used white willow bark as a fever reducer and pain reliver since 500 B.C. White Willow Bark contains salicin which is responsible for a majority of its white willows health benefits and as such a recommended intake of salicin has been 60 mg – 120 mg per day.